Sometimes the best method of a successful wildlife removal is knowledge. Make sure you have all the information when hiring a professional to avoid common scams. The more you know, the more likely you will have a good result and avoid violating animal protection laws, or exposing yourself to disease. 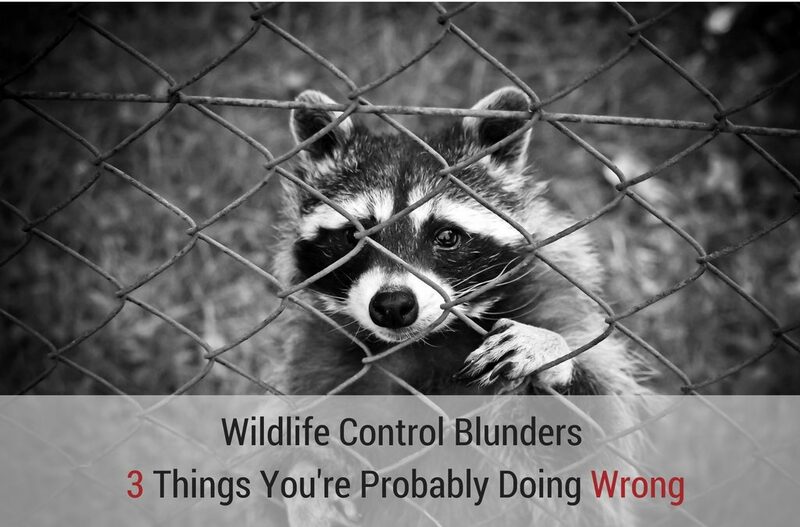 Today, I’ll be going over some common wildlife control blunders and what you need to know in order to take back control of your home! 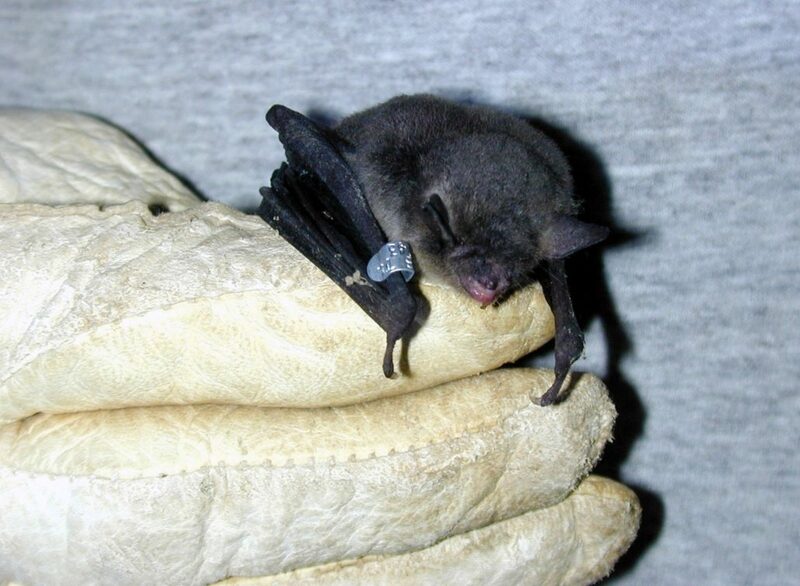 We are quickly approaching the end of the bat maternity season, so let’s look at some of the things you need to know before having bats removed from your home or business. First, the risk to yourself… Bats are a leading rabies vector animal. Before working in close proximity to them be aware of that risk. A professional should receive rabies pe-exposure prophylaxis to minimize the risk. Bat droppings pose the risk of transmitting histoplasmosis, a serious respiratory infection that can result in death. Adequate eye protection and a proper respirator are a must! Another important consideration is that trapping of bats is never recommended. Forcing large amounts of bats into a confined net or container results in injury or death. As a protected animal, injuring or killing bats is violation of state and federal law. The second issue with trapping is that they will return! Bats have a homing instinct that will guide it back to the their home roost from up to 150 miles away. So trapping and releasing bats simply guarantees their return. A very thorough exclusion sealing every gap of 1⁄4” or larger is the only way to guarantee the bats leave safely and don’t return. While trapping is not the proper way to remove bats it can a good method for removing other wildlife if done properly. Another common wildlife control mistake to install one way exclusion devices allowing an animal to leave but not re-enter. That is desireable with an animal that cannot chew or otherwise cause further damage to re enter. Wildlife control methods are not “one size fits all.” Animals need to be managed on a case by case basis. For example, if you exclude a squirrel with an exclusion device will very likely simply complicate the problem. Squirrels are well adapted to chew, and if you deny them one entry they will most likely begin chewing a new way in, especially if the squirrel has young in the attic or soffits. Often times when animals make take refuge in our homes, they do so to protect themselves and their young. The removal process is not always as simple as trapping and sealing the entry. Its important to see if there are any young juveniles! A perfect example would be raccoons. 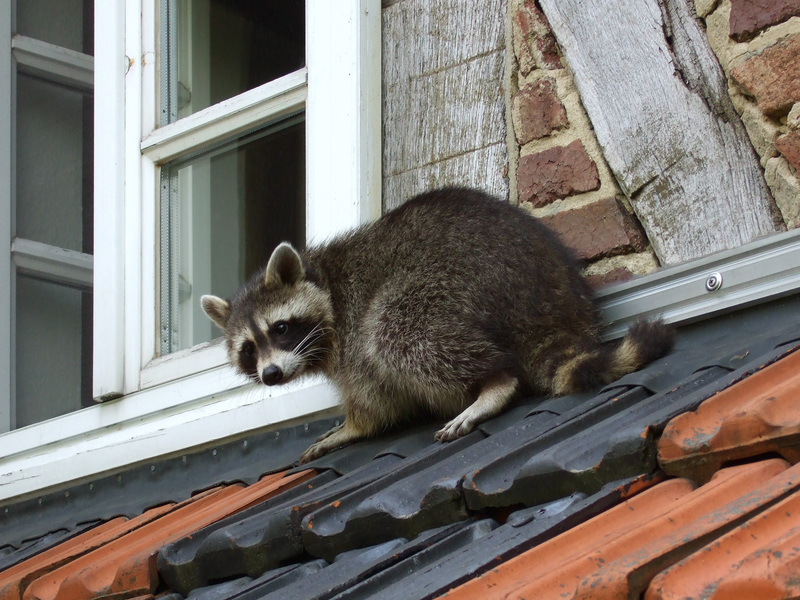 One of my most common emergency calls is for screaming baby raccoons in an attic. Simply setting a trap outside without knowing if there are young inside, is a very bad idea. Removing a mother raccoon and leaving the young behind results in 2 possible outcomes. Very young and immobile juveniles will pass away. and begin to smell and then the challenge is finding and removing the unfortunate remains. Older juveniles will wait for their mother to return and if she doesn’t they will begin to seek out food on their own. Either case is bad. The deceased juveniles will being to smell and decompose, and the removal of the remains becomes a challenge. Older juveniles can being to harass nearby humans… I’ve seen young raccoons crawling up pant legs looking for their next meal! Another very bad idea is sealing the animal’s entry in an attempt to block said animal out. You would be amazed the damage a mother raccoon is capable of when you block her access to her young. You can easily turn a relatively simple job into a major roof repair or replacement. This isn’t only applicable to raccoons, this applies to rodent control as well. All too frequently I see the process of wildlife or rodent control done in reverse order. It is imperative to remove the animals first then begin excluding all the entry points. I see many “professionals” seal the building then begin trapping. If the animal is not food driven, or the secondary driving factor is not there… they will start chewing and damaging property in order to create a new escape route. Some may die in the process, leaving an odor that can be in inaccessible places. Its important to have and know this information and don’t hesitate to ask any professional you trust in your home questions. And never accept substandard or inhumane work. Feel free to Contact Us with if you suspect any kind of home invasion. We can help you humanely remove any wildlife taking refuge in your home! For more information about wildlife removal check out the rest of our blog!